Laura Ingraham mocked the death of rapper Nipsey Hussle. Ana Kasparian, Brooke Thomas, and Alonzo Bodden, hosts of The Young Turks, break it down. 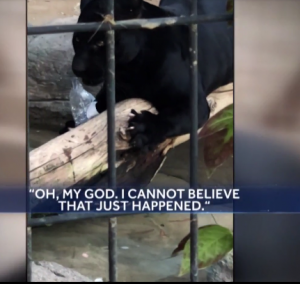 By now you have all heard of the poor woman who was attacked at a Phoenix area zoo by a Jaguar on Saturday. She was taking a selfie with her back to the animal when it reached through the bar and grabbed her arm. Luckily it didn't get her by the neck in which case she might have been done irreparable damage. But, a few stitches fixed her up. She returned to the zoo on Sunday. What do you think she would do upon returning to the zoo the next day? No, not make demands or threaten a lawsuit. Instead she took full responsibility for the accident and returned to continue her zoo experience. She admitted to have stepped into the safe zone between the fencing to take the selfie and that put her in reach of the Jaguar. How rare and refreshing. Someone did something dumb, lived to tell about it, didn't blame anyone else for her mistake, and no matter how big, wealthy or potentially could be damaged by the event, did not try to make money off the accident. Just apologized to the zoo and took personal responsibility for her actions. The animal will NOT be euthanized. Makes you feel good about the future of the country for a moment, doesn't it.